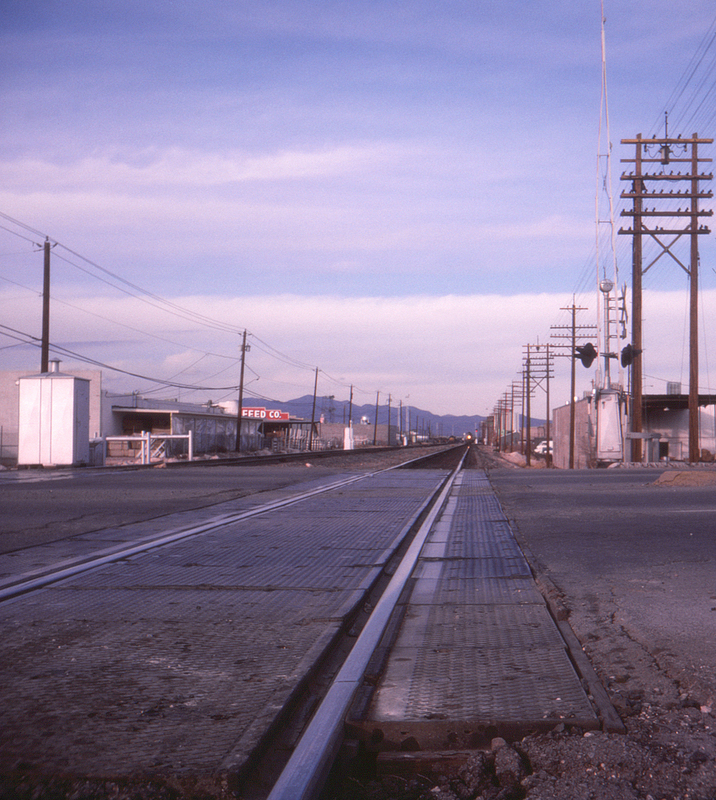 By 1970 most of the Union Pacific's grade crossings in Las Vegas, Nevada had been closed or converted to over/underpasses (the Charleston Boulevard underpass was notorious for flooding during even minor rains). An exception for a very long time was the Spring Mountain Road grade crossing, through which a continuous procession of through freights, way freights, and some very fast passenger trains passed. It was a standard feature of the helicopter traffic reports to announce traffic backed up for a considerable distance due to "train activity" at Spring Mountain. The crossing was finally eliminated as part of an Interstate 15 interchange revision. This view looks north towards downtown, several miles away.